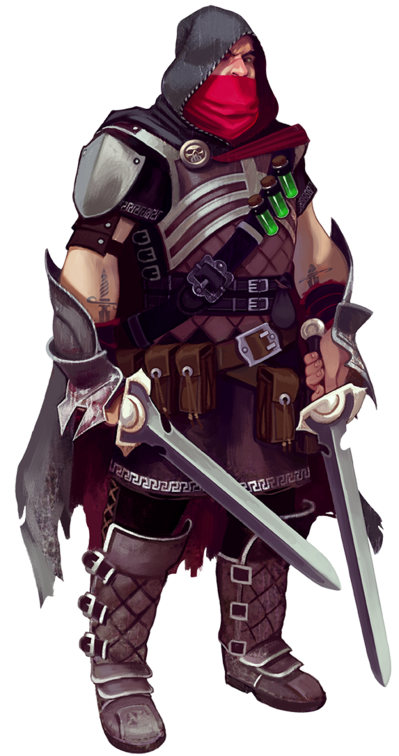 The Dragon Age previews for classes continues with a look at the Rogue. Masters of stealth, misdirection, and skilled at delivering punishing blows to unaware and vulnerable opponents, Rogues are deadly with ranged or close combat. Rogues develop along a few lines in Set 3. Ranged combat and stealthly in-fighting are given new options. For specializations we have the Shadow, Marksman, and Ranger. Shadows are masters of stealth and infiltration. Marksmen use ranged weapons to deliver critical blows from long range using bows or thrown weapons. Rangers are skilled trackers and woodsmen who can even coax the beasts of the wild to fight by their side. Talents include Intrigue and Observation, which make the Rogue a master spy and broker of secrets. Bonus powers such as Slippery make the class difficult to pin down and Perforate and Quick Shot let them find the right weakness or moment to enable a punishing attack. So that’s the Rogue at a glance. As they cover a fair amount of ground, role-wise, the class has several options. They might not be the frontline powerhouses Warriors are or have the spells and mystic powers of the Mage, but they can bypass obstacles that would confound their allies and appear where needed with a deadly strike or helping hand.